I feel very lucky to have a nice choice of restaurants within walking distance from where I live and Eelbrook is certainly a favourite. When my parents were visiting they stayed nearby so I thought it a good idea to go here for dinner one evening. And they liked the place just as much as I do, it certainly is a little gem of a restaurant. 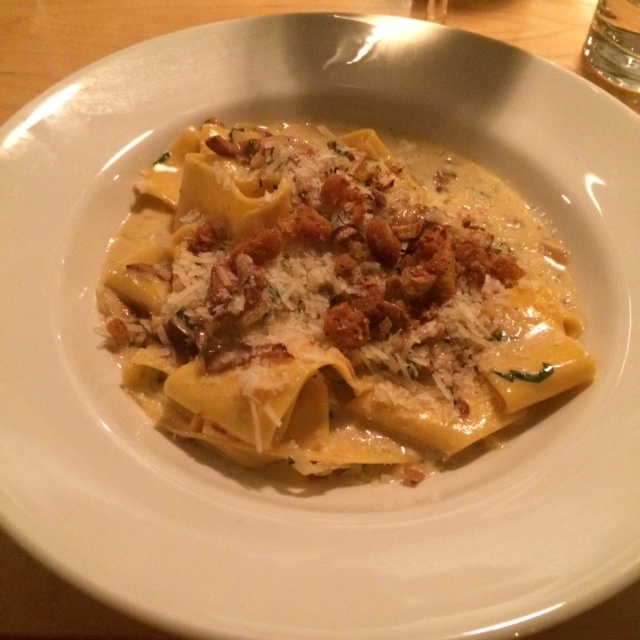 It’s relaxed and easygoing but with good food! We started the meal by sharing a few starters. 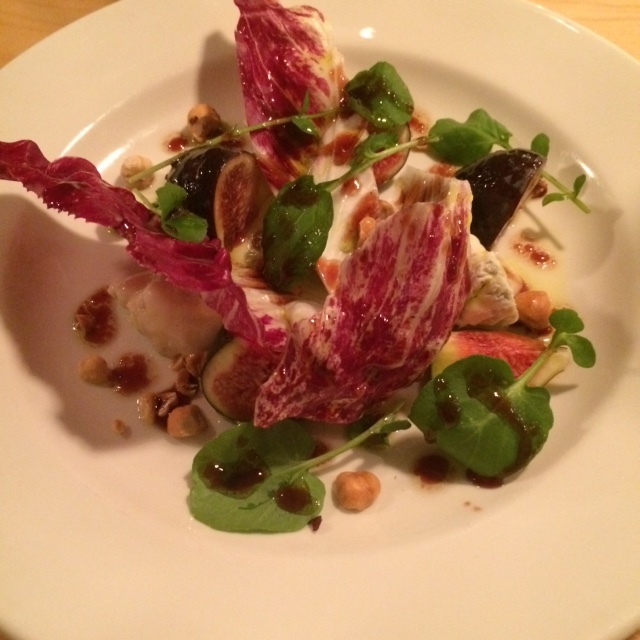 First up was the salad with endive, gorgonzola, perfectly ripe figs and hazelnuts that was really nicely balanced and a joy to eat. 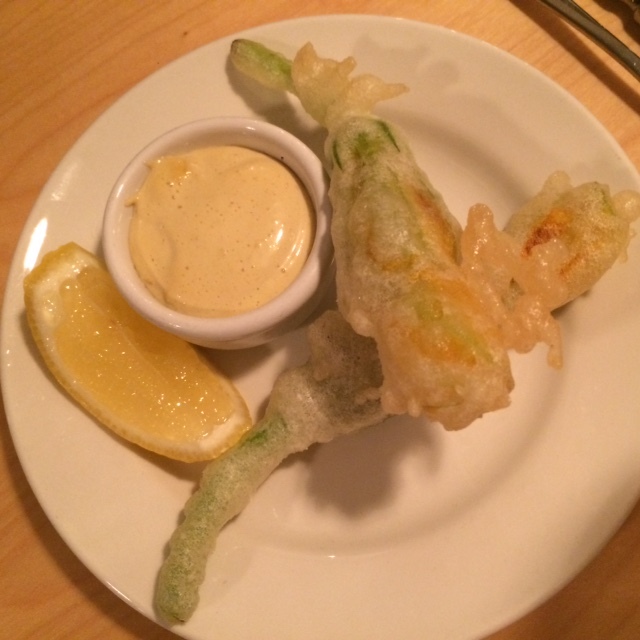 We then had deep-fried courgette flowers stuffed with white crab meat and served with a brown crab meat mayonnaise. Very different to the goat’s cheese filled flowers with honey you usually get but also nice. 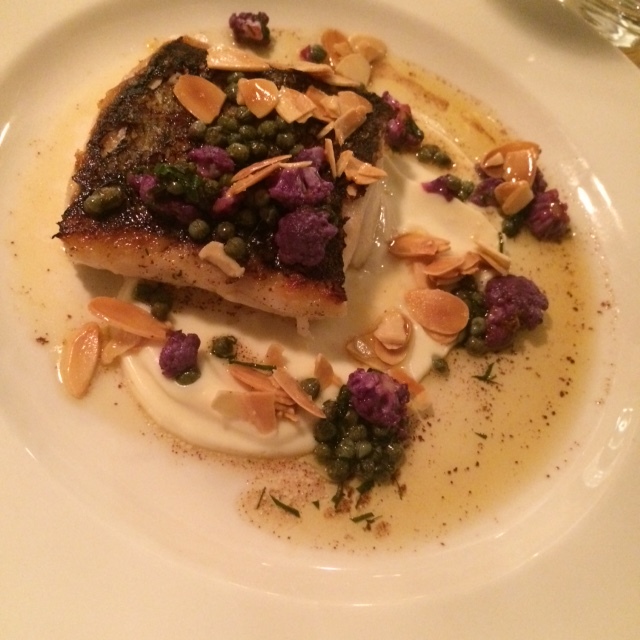 For her maincourse my mum had bream from Dorset with beurre noisette, cauliflower puré, capers and almonds and it was a really lovely dish and the fish was perfectly cooked. My peppardelle with girolles, marsala cream and hazelnuts was seriously creamy (almost a tad too much) but nice in flavour! 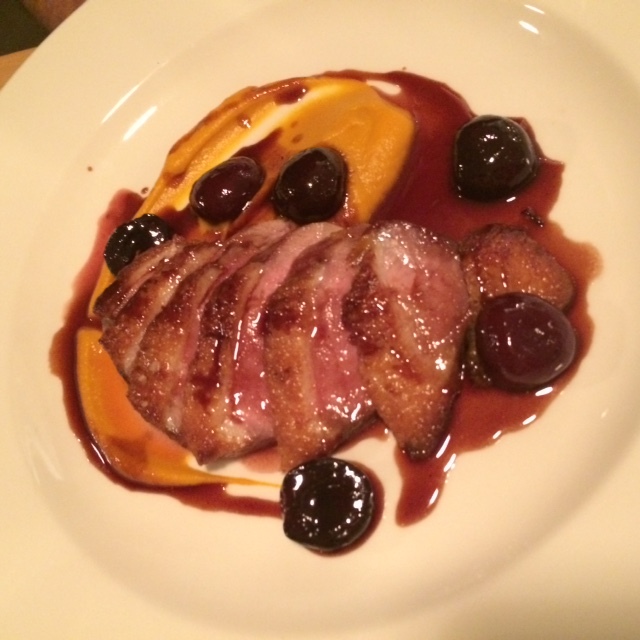 The duck breast dad had was cooked to perfection and served with jus, cherries and sweet potato puré. 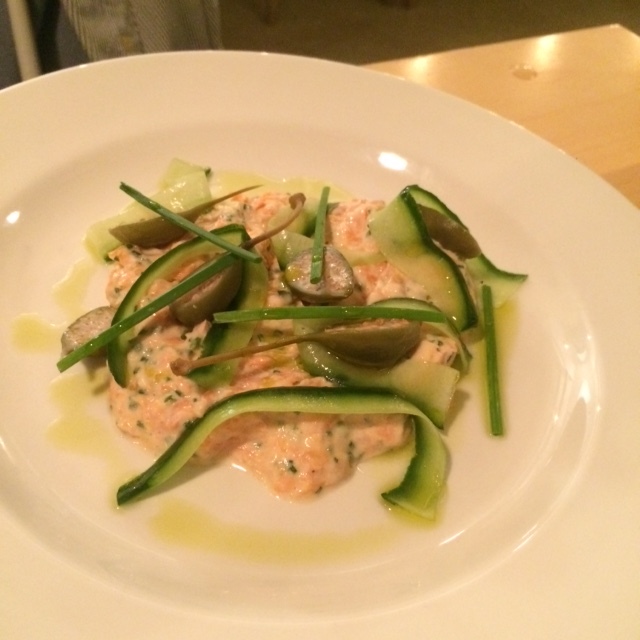 My parents also ordered a side dish of amandine potatoes and an amazing tarragon mayonnaise. We were too full for pudding and instead went for a walk, had a drink at a pub before going to bed. Such a nice evening in my neighbourhood.